Previous Viva Amiga in Europe! Next What retro games are you currently playing? Nice. I was wondering about this. For the time being my Amiga is just for gaming, but perhaps one day…. Thanks Vyothric! 🙂 How’s your Amiga doing? It’s pretty much good to go. CF card has a bunch of games on and I changed all the capacitors. Could use a new mouse though. That sounds good. 🙂 May I recommend an Micromys Mouse Adapter for your Amiga? It is a great piece of hardware that makes it possible to use an optical mouse. I’m very happy with mine. 🙂 It doesn’t cost a lot either. If you’re interested, AmigaKit or Vesalia might have them in stock. Using an optical mouse would be great. 😀 I’m so used to working with optical mice these days that I struggle with using those old-school ones. This is especially true when I fiddle around with Deluxe Paint. Likewise. I used to have a Razer Boomlang ball mouse that I used for Unreal Tournament. It was an ace gaming mouse, but it’s one of the few retro things that I could never go back to. Have you used a trackball before by the way? I’ve never been into those, but some say they are pretty neat once you get used to them. 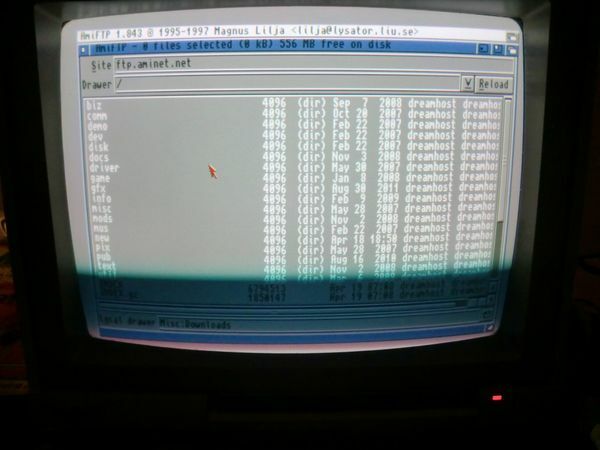 I have Amiga question….When I load a game, the image isn’t centred – it’s to the right slightly. Is there a way of fixing this? It was the same in Workbench but I fixed it using the Overscan option in the Prefs. What kind of screen do you use? 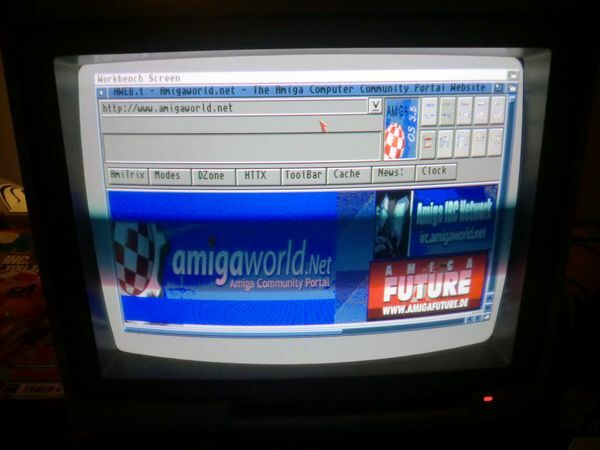 Do you use an Amiga monitor, like the 1084S? Does this happen when you run games through WHD-Load? On my TV through WHD Load. When you run the games, they don’t (unless they are system friendly) use the settings of the overscan. What kind of resolution do you run on your TV? Is it 16:9 for example? Are there different modes you could try? The individual window settings can be saved. Move your mouse pointer to the menu-bar on the top of the screen, click the right mouse button (and keep it pressed), hoover over “Window” and the select “snapshot”. You can then choose “Window” or “All”. The difference between the two is that “All” remembers the positions of the icons as well. 🙂 Hope this was of help. I was thinking that the TV might have some options for centring the screen. I’m afraid I don’t know of any other solutions. Maybe some of the others here can be of help? That is awesome! Thanks for the tip concerning the Twitter-client. I’m definitely going to have a look at that. 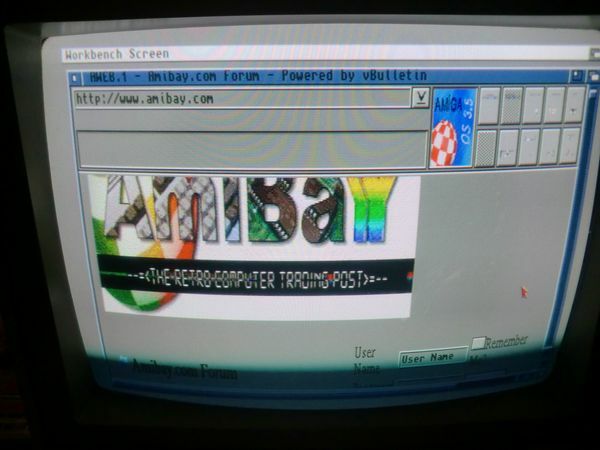 Would be fun using Twitter on the Amiga. Hope you’ll find a nice 1200 out there. Hei, snakker du norsk? Perhaps one of the more difficult challenges is to get an Amiga ‘online’ – so I think you’ve successfully conquered that. AmFTP is a really nice client, great for transferring all those goodies. Don’t forget to visit Magix FTP server. If you install this ‘Sami http server’ http://www.karjasoft.com/old.php on a ‘Windows’ OS computer and share some files you can then browse and download them straight to the A1200 as a quick and simple network solution. (open port 80/or whatever you choose router if applicable). Obviously you could also setup an FTP server, makes transferring a lot less hassle. Jeg snakker norsk ja. 🙂 Ble overrasket da jeg så at du hadde skrevet på norsk. Hehe. Magix FTP rulez. So much cool stuff! Have downloaded quite a few MB’s to say the least.. Thanks for the info concerning the server. I’m going to look into that. If I get the job I am interviewing for tomorrow, I am thinking of either getting the VIC-Slim or one of the Mini’s…not sure though since I have no way to really see either machine up close and in working order outside of videos from Youtube. Best of luck with the job interview my friend! Hope it’ll turn out great. Fingers crossed that you’ll get the job! I’ll do the same. 🙂 Good luck! Congratulations! That’s what I call a real bargain. 🙂 You struck gold there mate! Let’s hope a similar deal will pop up with an Amiga 1200. I believe that some more memory will do wonders for your machine. Are you using a registered version of WHD-Load by the way? In the registered version you don’t have to wait for the count-down timer to finish. Big thanks for the links, I am currently in London working for a few days, bit will give it a try when i get back home. WHDLoad not registered> I need to also look at running it with different run options. No problem mate. Glad to be of help. 🙂 Enjoy London!